So sorry about the circumstances, and hope things go as positively as possible. I have a shawl that would be nicer with blocking, but is OK without it, that was mostly emergency spindle spinning and then good-bye to my mother knitting during her final days. It makes me happy to fondle it now. All three projects are gorgeous! 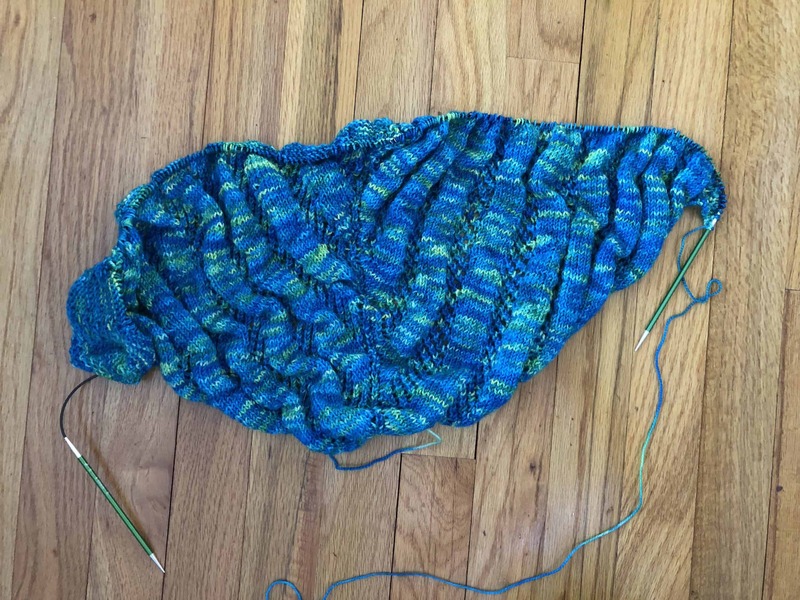 Is the Begonia Swirl reknit going to be solid color? 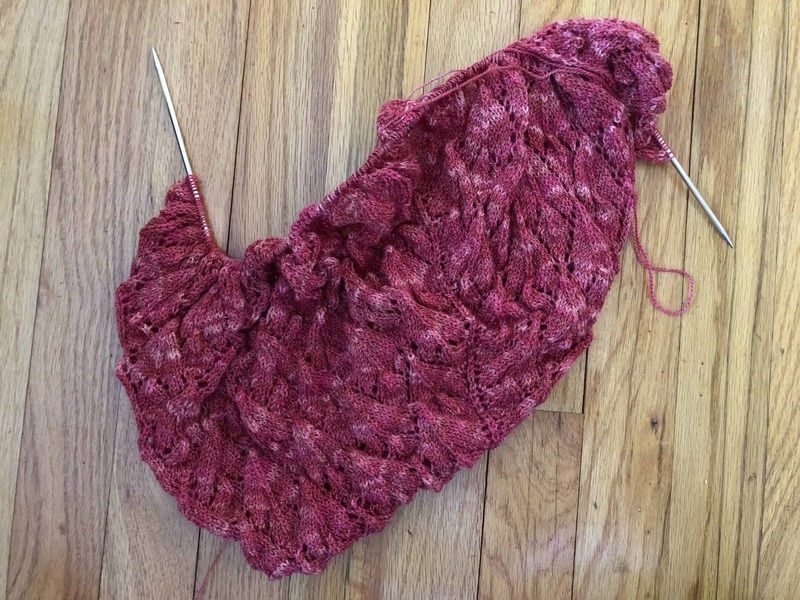 It’s so amazing how a lump of knitting turns into a gorgeous shawl after blocking. This is a touching and beauriful piece of writing. 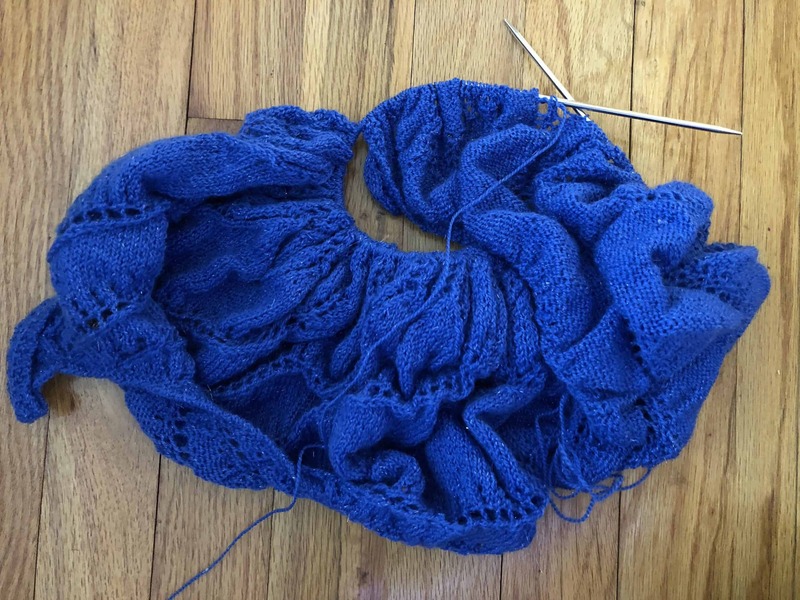 Just like the lace shawls themselves…. First of all, *hugs*. I’m so sorry you’ve had a spate like this, and I hope that after the trip you don’t have any call for emergency knitting for a while.